WHISTLEBLOWING: ARE WHISTLEBLOWERS PROTECTED IN YOUR JURISDICTION? At present, there is no specific legislation in Hong Kong which protects or rewards whistleblowers. However, a number of measures exist which ensure the confidentiality of corruption reports to the police and the Independent Commission Against Corruption to protect the anonymity and personal safety of informers, grant immunity to witnesses and prevent unfair treatment. Subject to certain limited exceptions, Section 30A of the Prevention of Bribery Ordinance provides a framework under which the names and addresses of informers are protected from use in civil or criminal proceedings. SELF-REPORTING: IS IT COMMON FOR LENIENCY TO BE SHOWN TO ORGANISATIONS THAT SELF-REPORT AND/OR COOPERATE WITH AUTHORITIES? IF SO, WHAT PROCESS MUST BE FOLLOWED? There are no formal voluntary disclosure programmes that can assist an entity in claiming amnesty or reduced penalties. Instead, it will be determined by the authorities on a case-by-case basis. 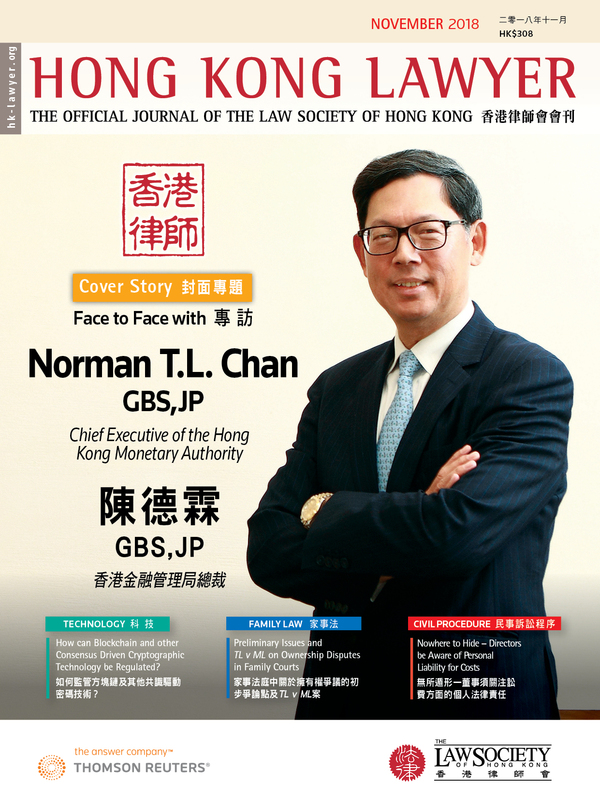 Hong Kong prosecutors target individuals and if a person voluntarily discloses criminal conduct by way of self-reporting or cooperates with the authorities, this would operate as a powerful mitigating factor. It would influence the prosecutor’s decision on whether immunity should be granted, although this is not guaranteed. Alternatively, if convicted, he or she could receive a reduced sentence. The story was first reported on Lexology Navigator. Kyle Wombolt has over 20 years' experience in Asia and has led investigations and compliance projects in more than 40 countries worldwide. He focuses on multi-jurisdictional anti-corruption, regulatory, fraud and accounting investigations, as well as trade and sanctions issues involving multinational and major regional corporates. He has extensive experience in dealing with government agencies and regulators in Asia, Europe, Australia and the US. Kyle also advises and lectures on anti-money laundering and cyber security. Kyle advises on implementing anti-corruption compliance programmes for a broad range of clients, including investment banks and other financial institutions and multinational companies. He regularly advises clients on corruption risks associated with a wide range of transactions, including IPOs, mergers and acquisitions and joint venture relationships. Kyle is admitted in Hong Kong, California and New York and is a registered foreign lawyer in England and Wales. He speaks English and is conversational in Mandarin. Robert has substantial experience advising on contentious matters in Asia and Europe. He has extensive experience of dealing with regulators and law enforcement bodies across the world including Hong Kong, the UK and US. He has advised a range of high profile clients across a number of sectors including financial services, energy, health and manufacturing. Robert regularly advises on compliance issues and has recently led a pan-Asian anti-corruption compliance project for a major financial institution. The project involved advising on risk mitigation under anti-corruption statutes in several Asian jurisdictions including the PRC, Hong Kong, Singapore, Malaysia and Japan. Robert is based in Hong Kong. Earlier in his career, he spent time working in other offices in the Herbert Smith Freehills network including London, Singapore and Jakarta. In London, Robert was involved in numerous high-profile litigation and arbitration proceedings including commercial contract claims, tortious claims, shareholder actions, defamation claims, and competition litigation. During his time in Singapore and Jakarta he worked on a wide range of regional disputes including contentious regulatory matters, shareholder disputes, distribution agreement disputes and claims arising out of a large environmental disaster. Robert is qualified in both England & Wales and Hong Kong.